People may not believe it, but originally I just painted 5 Nurgle Chaos Space Marines for a contest in White Dwarf. I painted a couple more and used them as allies for my Orks at the dawn of Second Edition. Now the Diseased Sons have grown so large it isn't really practical to keep adding to them much, though I may try again seeing how many times the rules have changed. I never set out to play an all Nurgle army, so eventually I started working on Chaos Undivided, the other powers, some heretics and renegades, even some more Orks. I'll also likely blog more as even I get tired of handcoding HTML. 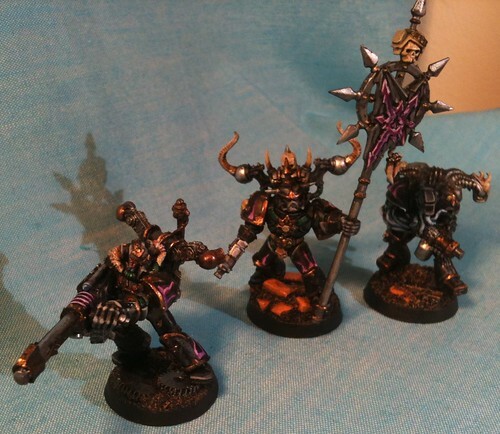 These early 2010 changes to nurgle.muschamp.ca were supposed to be the last major changes ever but after finally passing my final CFA® exam, I decided to work on fixing things that bothered me about my website, while trying to update my IT skills and find a new job. I decided to make this website more mobile and social media friendly in 2018.